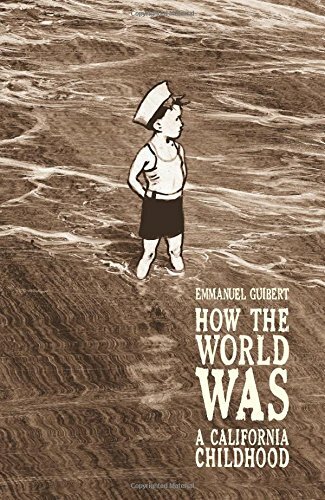 How the world was: A Californian childhood graphic novel is the prequel to the award-winning Alan's War: The Memories of G.I. Alan Cope. Both graphic novels are published by First Second books. Alan's War recounts Alan Cope’s experiences as an adult during and after World War 2. The prequel How the world was focuses specifically on his childhood in the 1920s and 1930s. The graphic novel is a juxtapose of Alan’s childhood experiences as he delved deep into his memories. Some of the stories are funny, some sad and others poignant, particular on the loss of his mother. Emmanuel Guibert is the author and illustrator for both graphic novels. The artworks have a realistic photo feel to it , like those vintage black and white photographs. He has an interesting technique for the art style. He basically “draws” it with water first and drips the ink over the “water drawing” to create the style. You can see a short demonstration of his drawing style for the graphic novel below. I liked the way of how each comic panels are planned out, leaving enough space for the readers to read and appreciate the artworks. You can tell every panel is well composited together with the text and they do not overwhelm each other. The graphic novel may not be for everyone as there are no specific story plot to it. Rather, it is one man’s nostalgic and honest account of his childhood of a bygone past. I finished reading the book in just 2 sittings as it was an enjoyable read personally. If you like this book, you may like Alan’s War and his other award winning book The Photographer: Into War-torn Afghanistan with Doctors Without Borders — both written and illustrated by Emmannuel Guibert too.